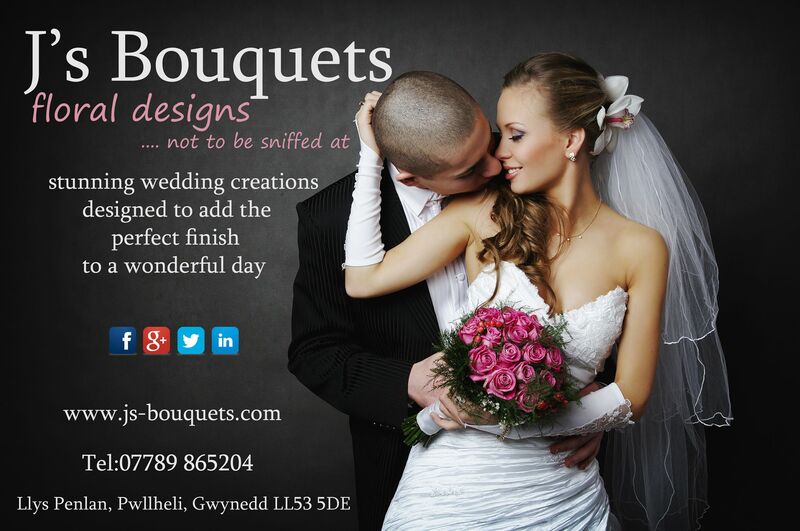 On Sunday the 8th March J’s Bouquets is taking part in Pwllheli’s Wedding Showcase. With over thirty business taking part Pwllheli will be showcasing everything it has to offer for anyone booking a wedding! Many businesses will have an ‘on the day’ discount. J’s Bouquets will be offering 10% off all flower wedding packages that are booked on the 8th March. Get yourself down to Pwllheli on Sunday to see a wedding fayre with a difference!